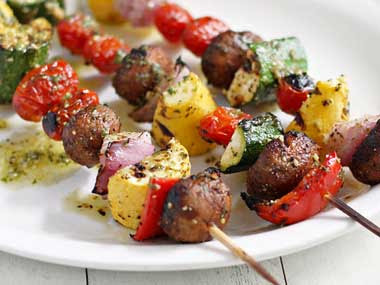 Marinate in some Italian dressing or your own favorite marinade and pop on the grill. Add pieces of steak and/or some shrimp and you have a nice entree'. Be as creative as you want..vary the vegetables.